Ladies and Gentlemen, Boys and Girls, Children of all ages... CrackBerry.com proudly brings to you once again Click's Media Picks! My goal is to bring you all the free HOT & Crack'n Wallpapers, Ringtones, Movies and More that I've stumbled upon over the past seven days! First off, I want to thank everyone for all the great feed back on my premiere blog post! I will promise to deliver each and every week with great new picks! So with out further ado (or is it adieu?? )...here are this weeks picks! Now for my top wallpapers, I have gone through our data base and picked some new ones and old ones. So here are my picks for the week. Enjoy! There are More Wallpapers in CrackBerry.com's Wallpaper Gallery or Use the Wallpaper Maker to Create your own AND share them with the CrackBerry.com Community! Since I got such a great response last week I decided to give my TWO video picks for the week! 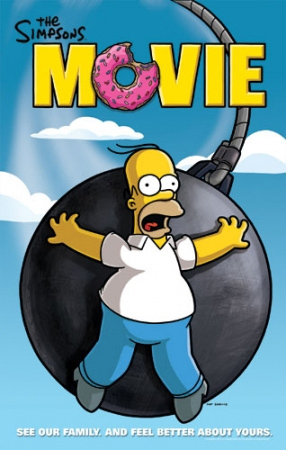 Check out The Simpsons Movie and if you missed who "The Don" fired you can tune into The Apprentice. Just click the images to save the videos to your computer (and transfer over onto your BlackBerry's media card via usb from there). Both videsos courtesy of Videos4BlackBerry.info. Want videos on your BlackBerry but don't know where to start? Read this BlackBerry 101 Lecture! See You Next Week, CLICK OUT!